Got to hand it to my med students they certainly know how to rock a wedding dance and failing is just not an option. Jessica found us through a website and reached out about coming in for an Introductory Wedding Dance Lesson. At the time, we went through their music selection and discussed their vision for their first dance. They expressed in interest in doing something that would be more upbeat and fun during the wedding. We explored several dance styles and decided to narrow our focus to Rumba and Swing. Rumba and East Coast Swing are American Rhythm Styles of dance. In each one of these dance styles there are 15 patterns in the bronze level. Jess and Chris had a solid rock wedding dance. 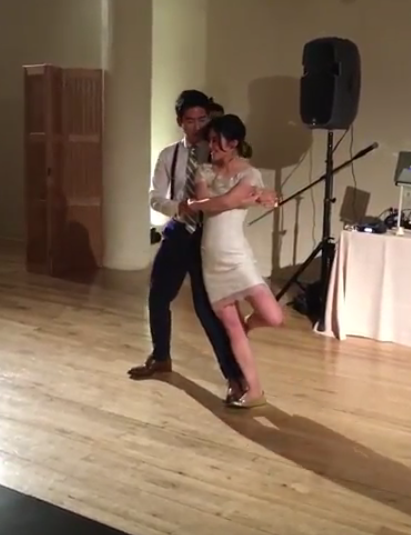 Despite their hectic schedules we were are able to schedule 8 dance lessons to prepare for their wedding dance. Is this how a typical dance will look after 8 dance lessons? Well that all depends on how much the couple practices outside of the dance studio. For example, every time Jess and Chris would learn something new they would perfect it by the time they came back for their next lesson. It was the hard work outside the dance studio that made them rock their wedding dance. 2 Dance styles with lots of fun tricks, spins, and an amazing dip. Jess and Chris expressed that they loved preparing for their first dance and truly enjoyed the dance lessons. They will be in town for a little while longer but will continue their journey studying in Cleveland together. 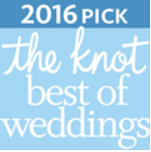 We recommended that they find a dance studio in Cleveland and continue to dance with one another. I truly enjoyed working with this couple and found them to be very supportive of one another. Not once did they bicker or complain about each other. They worked hard to be the very best they could be as the ultimate team.